There is a joy, and it is the joy of existence — not what is happening in existence. and then there is the joy of what is happening in existence. What is happening in existence we try to control and manipulate. but then there is another joy. 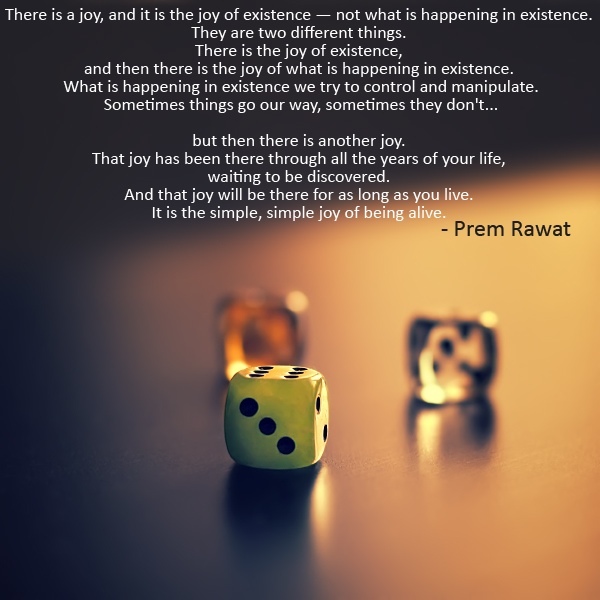 And that joy will be there for as long as you live. It is the simple, simple joy of being alive.